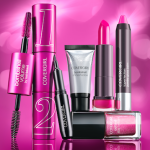 You can always count on COVERGIRL to bring us the latest off-the-runway makeup trends and this spring is no exception. The ‘Full Bloom’ Eye Collection takes the “no makeup” look and translates that into beautiful, natural, “easy breezy” eye looks. 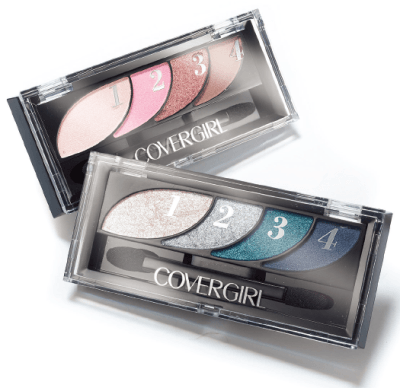 COVERGIRL Premium Eye Shadow Quads ($6.99 – $8.99) in six palettes: Notice Me Nudes, Go for the Golds, Va Va Violets, Stunning Smokeys, Blooming Blushes and Breathtaking Blues. Bombshell Pow-der Brow + Liner by LashBlast® ($8.99 – $11.99) in Black, Dark Brown, Medium Brown and Blonde. COVERGIRL Full Lash Bloom by LashBlast™ Mascara in Very Black, Black and Black Brown ($6.99 – $8.99, waterproof formula also available). 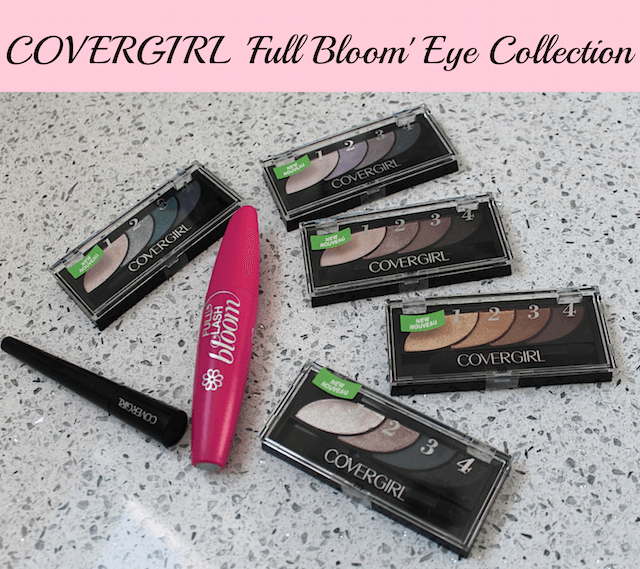 I was sent a variety of products to try from the COVERGIRL ‘Full Bloom’ Eye Collection and have to tell you–I was impressed. The Premium Eye Shadow Quads are easy to use: the four shades are numbered 1, 2, 3, 4 in the steps you apply for all-over base color, lid, crease, and liner. The eye shadow has great pigmentation–a nice surprise. No trading off quality for budget beauty here! Of the Eye Shadow Quads I tried, my favorite is the Go for the Golds; a richer take on a neutral palette. For an easy, smoldering liner look, I like the Bombshell Pow-Der Brow + Liner. I tried it in Black, so it was too dark to use on my brows, but for a soft, lined look, it works great. The formula is creamy, almost-gel-like, and can be smudged for a smokey eye look. I also tried the COVERGIRL Full Lash Bloom by LashBlast™ Mascara in Black. I’ve been a huge fan of COVERGIRL Clump Crusher Mascara (review). Full Lash Bloom by LashBlast™ Mascara goes one step further. The brush gives you excellent separation that I love with Clump Crusher but goes a step further. With Full Lash Bloomby LashBlast™ Mascara, you get a full, natural look without that hard, spiky feel. I think this is my favorite COVERGIRL mascara to date. 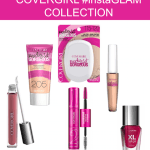 The COVERGIRL ‘Full Bloom’ Eye Collection is available now at mass-market, drugstore, food and e-commerce retailers nationwide. 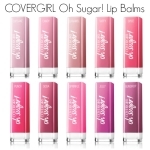 For more information, go to www.covergirl.com. 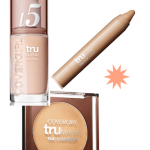 Have you tried any of these new products? Let me know your thoughts in the comments! Beauty Bylines with U.S. Figure Skater and COVERGIRL Gracie Gold!